I offer kimono experience to all people coming to Asakusa with good quality and reasonable price. in Asukusa and enjoy this unique cultural experience? We provide a walking guide as well as a photo session on location and in studio all while wearing a beautiful kimono. Please come and let us make your trip to Asukusa exquisitely memorable. It was an incredible experience having the opportunity to walk around asakusa wearing a beautiful kimono. The shooting experience was unique! Not only I had great pictures but also got to know the history of the neighbourhood and walk around hidden spots. I enjoyed choosing my Kimono among the many options and the "dressing" experience. Staff was extremely sweet and helpful. I highly recommend it to solo travellers! This was absolutely amazing. Wandering around Asakusa in full traditional dress, everyone was asking to take our photo, we felt like celebrities! It was WONDERFUL. My sister and mom were not overly enthusiastic about it at the start but when we were all dressed up in our beautiful kimonos, they said so themselves that it was one of the highlights of our trip, they thoroughly enjoyed themselves and thanked me for arranging it for us despite their initial doubts. It felt like it was a mad dash getting dressed in the studio because the lovely ladies dressing us in the kimonos had a lot of customers that day. They'll advise you on which Kimono will be best for your size. 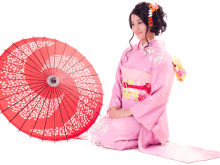 But the kimonos and accessories are first come first served, so if there are other customers there before you, you can only patiently wait your turn to pick out your kimono and accessories so don't be too dead set on any one piece. Also, it's best to wear undergarments you're okay with other people seeing you in, like a shirt with a low back (because they will drop the back of the collar of the kimono a bit to expose your nape) and cycling shorts or any fitted shorts (if it's too bulky your kimono won't look right over it). The locals, especially the elderly (they would know more than anyone how traditional clothing like kimonos should look and fit on someone), admired the kimonos my mother, sister and I were wearing so I took it as a good sign that the ladies in the studio properly and elegantly put our kimonos on us (since there can be a lot of things that could go wrong like the length, the fit, using too little or too much padding, the collar, how the obi is tied, etc.). I would say that it was definitely worth the money, I felt like I was getting the better end of the deal, wearing a beautiful kimono for only that price. At the end of the day, I was sad to have to remove the kimono and wished that I could wear it everyday! Awesome service with loads of gorgeous kimonos for you to choose from! Comes with hairdo too! We booked a couple of days ahead and received prompt email confirmation and information from both Voyagin and Kiyomi-san. The studio was very quick and easy to find from the train station using the map sent via email. Although the studio is somewhat small, there are plenty of beautiful kimono to choose from. There is no real privacy at the studio so I would advise wearing a thin t - shirt and leggings (not tights since you will be given split toe socks and flip flips). The dressing part was very fast and efficient. - less than 30 minutes. The ladies are clearly experts at obi tying! There are also a selection of handbags and silk hair flower accessories to coordinate with your outfit. I already had my hair in a bun, but you may wish to bring your own brush or comb if you're having it done there. There is a small bathroom available if you need to apply make up. Since it was January and very cold outside, I was given a black velvet shawl and a fur collar.